For a moment, it appeared a gold-mining claim had been issued in the Black Elk Wilderness. Bureau of Land Management officials say it was a clerical error. The BLM has a database called Land Records 2000, which reports what mining claims are issued… both for the bureau and the public. Chip Kimball is the field manager for South Dakota Bureau of Land Management. She says the claims to F3 Gold were issued correctly, but information entered into the database was done so incorrectly. She says the BLM would not issue mining claims in the Black Elk Wilderness, because it’s illegal to do so. When claim was entered into the database it was entered as township 2 south—which is the Black Elk area. The claim is for Township 2 north. 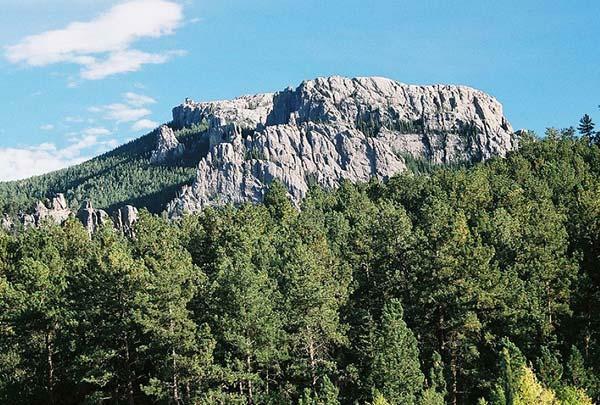 The Black Elk Wilderness Area is home to Black Elk Peak, and is one of the highest peaks east of the Rocky Mountains in North America.